bollinger has been partially removed and will no longer accept a fints object (tsobj) argument. Use a matrix, timetable, or table instead for financial time series. 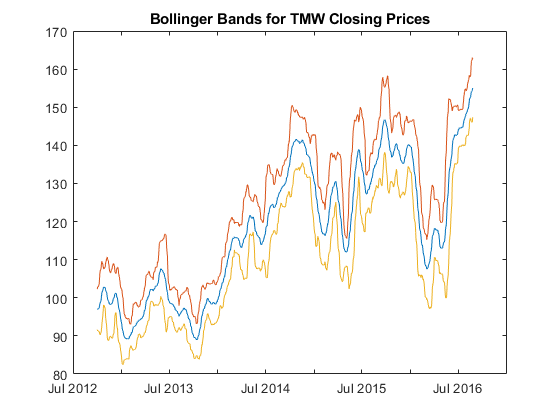 [middle,upper,lower] = bollinger(Data) calculates the middle, upper, and lower bands that make up the Bollinger bands from a series of data. [middle,upper,lower] = bollinger(___,Name,Value) adds optional name-value pair arguments. 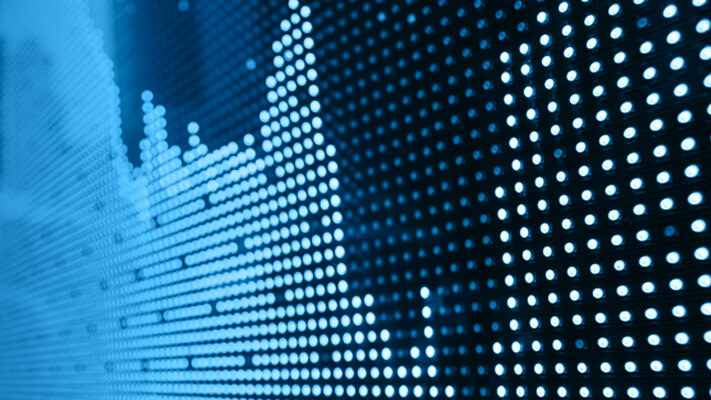 Data for market prices, specified as a matrix, table, or timetable. For matrix input, Data must be column-oriented. Number of observations of the input series to include in the moving average in periods, specified as the comma-separated pair consisting of 'WindowSize' and a scalar positive integer. Type of moving average to compute, specified as the comma-separated pair consisting of 'Type' and a scalar integer with a value of 0 (simple) or 1 (linear). Moving average series representing the middle band, returned with the same number of rows (M) and the same type (matrix, table, or timetable) as the input Data. Moving average series representing the upper band, returned with the same number of rows (M) and the same type (matrix, table, or timetable) as the input Data. Moving average series representing the lower band, returned with the same number of rows (M) and the same type (matrix, table, or timetable) as the input Data. Achelis, S. B. Technical Analysis from A to Z. Second Edition. McGraw-Hill, 1995, pp. 72–74.